SIIT will enter into a written agreement with each education agent who will recruit students on its behalf. SIIT will also endeavour to have a written agreement with agents who act on behalf of students and list all agents it has agreements with, on its website. Agreements will specify the responsibilities of the education agent and SIIT and the need to comply with the requirements in the National Code 2018. SIIT will take all reasonable measures to use education agents that have an appropriate knowledge and understanding of the Australian International Education Industry and do not use education agents who are dishonest or lack integrity. 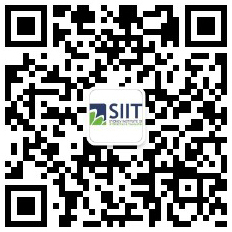 SIIT has a process for monitoring the activities of the education agent allowing for the termination of contracts where necessary. SIIT will ensure that agents at all times have access to up-to-date and accurate marketing information. SIIT will enter into a written agreement with each education agent it engages to formally represent it and enter and maintain the education agent’s details in PRISMS. Termination conditions, including providing for termination in circumstances outlined in Standard 4.4. SIIT will ensure that its education agents have access to up to date and accurate marketing information as set out in Standard 1 (Marketing information and practices). Engaged in, or to have previously been engaged in, dishonest practices, including the deliberate attempt to recruit a student where this clearly conflicts with the obligations of registered providers under the Standard 7 (Overseas student transfers). Facilitating the enrollment of a student who the education agent believes will not comply with the conditions of his or her visa. Providing immigration advice where not authorized under the Migration Act 1958 to do so. Where SIIT has entered into an agreement with an education agent and subsequently becomes aware of, or reasonably suspects, the engagement by that education agent, or an employee or sub-contractor of that agent, of the conduct set out in Standard 4.3, the registered provider must terminate the agreement with the education agent. This paragraph does not apply where an individual employee or sub-contractor of the education agent was responsible for the conduct set out in Standard 4.3 and the education agent has terminated the relationship with that individual employee or sub-contractor. SIIT must take immediate corrective and preventative action upon becoming aware of an education agent being negligent, careless or incompetent or being engaged in false, misleading or unethical advertising and recruitment practices that could harm the integrity of Australian education and training. SIIT will monitor the activity of its agents on a regular basis and may include the following: regular face-to-face meetings, telephone meetings, regular reports from agents, surveys of students recruited by agents, spot checks by providers e.g. to observe agents at work, the SIIT internal surveys of agents. 4.1 The registered provider must enter into a written agreement with each education agent it engages to formally represent it, and enter and maintain the education agent’s details in PRISMS. 4.2.6 the circumstances under which information about the education agent may be disclosed by the registered provider and the Commonwealth or state or territory agencies. 4.3.4 have appropriate knowledge and understanding of the international education system in Australia, including the Australian International Education and Training Agent Code of Ethics.